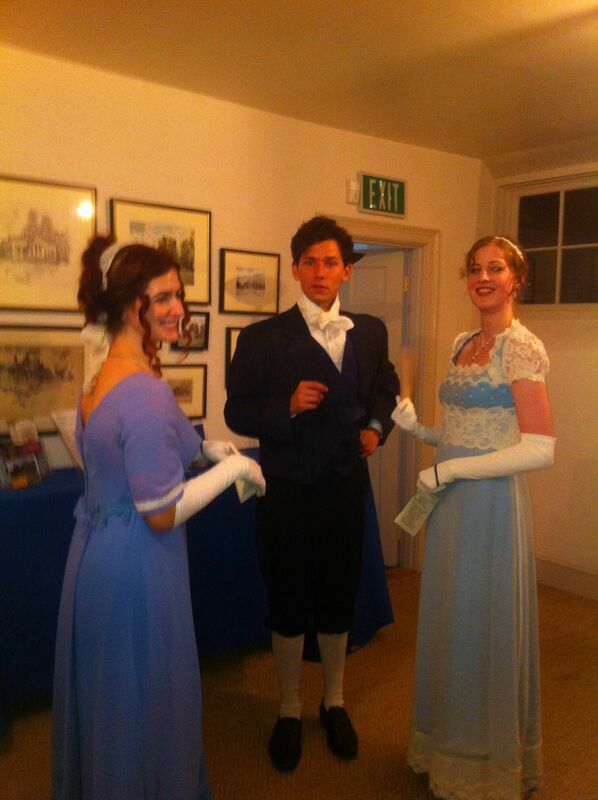 Just a few pics from the Regency Harvest Ball benefit at Hopkins Homewood House Museum last night. 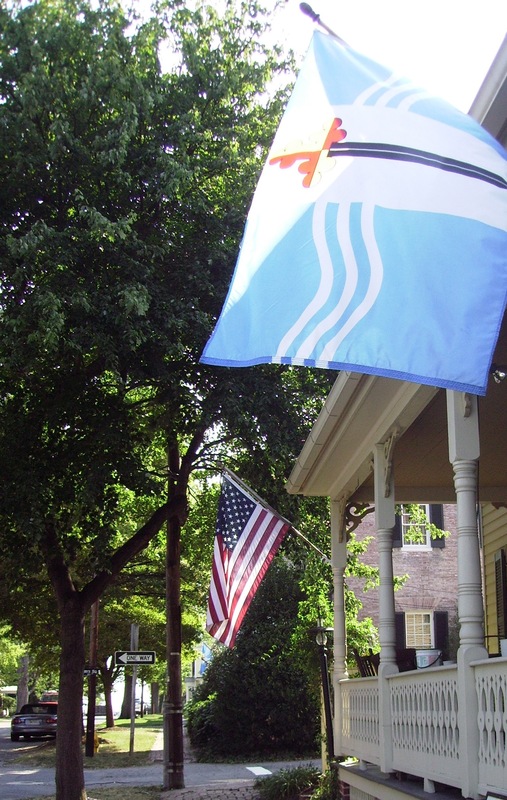 The Museum , which is open for tours from 11-3:30 Tuesday through Fridays, and from Noon to 3:30 on Weekends, is located on the Hopkins campus at 3400 N Charles Street in Baltimore. 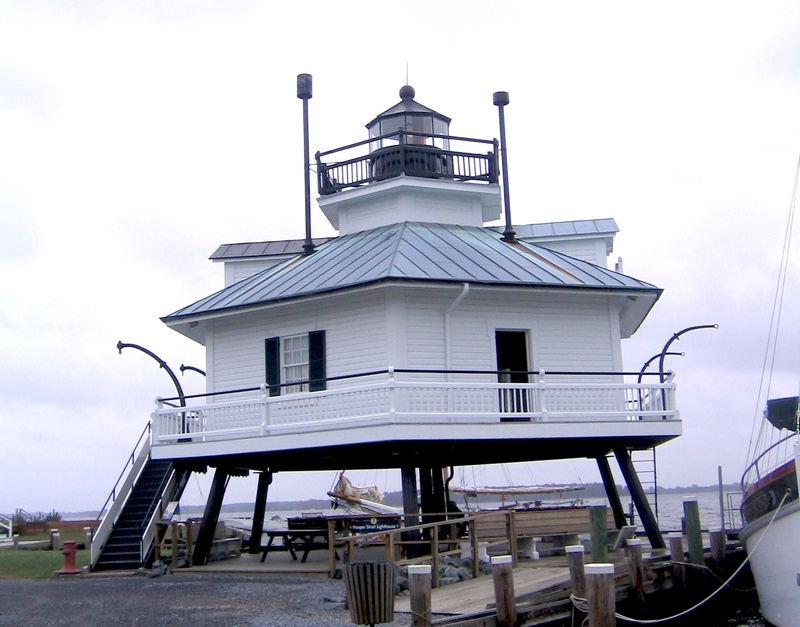 It was built in 1801 by Charles Carroll, Jr. (largely with funds from his father) and cost roughly 4 times the original estimate. But it was worth every penny. This is a gem of a Federal building and it is beautifully kept. 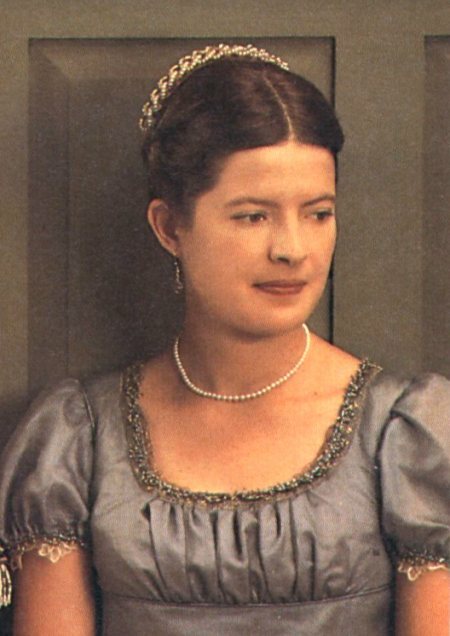 I spent most of the evening in the master bedroom — a lovely room with a four-poster bed and 19″ ceiling — in my role of the girl’s “governess” I took on the added duties of “helping” the guest primp for the festivities. I offered the gentlemen gloves. If they happened not to have come in proper neck attire — shocking! — I offered them a cravat and helped them tie it in period fashion. For the ladies I had fans. [Click here to read my blog on fans] I gave them a quick tutorial on how to open the fan and how to attract a gentleman (or repel a cad). Besides meeting the guests I very much enjoyed interacting with the “family” as portrayed by members of the Baltimore Shakespeare Factory. 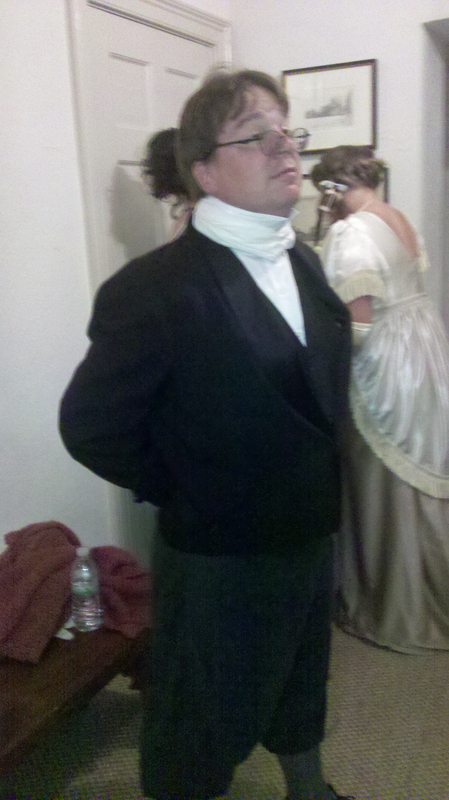 Like a good “governess” I helped out where necessary and started my evening by fixing hair and altering costumes at the Factory’s home at St. Mary’s Community Center in Hampden. 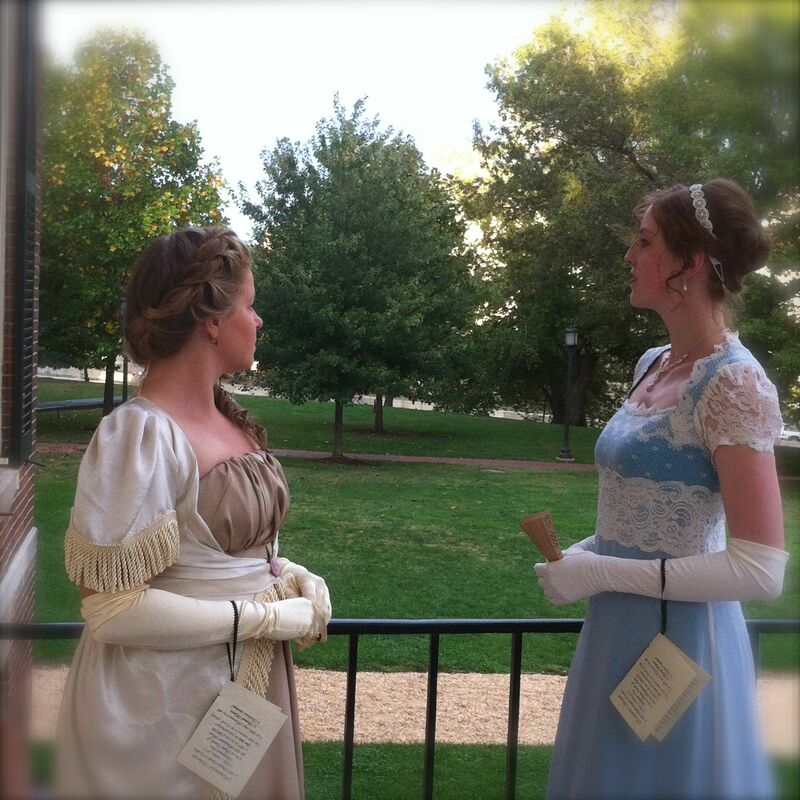 Lorraine Imwold and Shaina Higgins look out over grounds of Homewood House. Tegan Williams, Brendan Kennedy and Shaina Higgins get into character. Ian Blackwell Rogers and Katharine Vary prepare to go up to the entrance and greet guest. Chris Ryder portrayed the Butler. 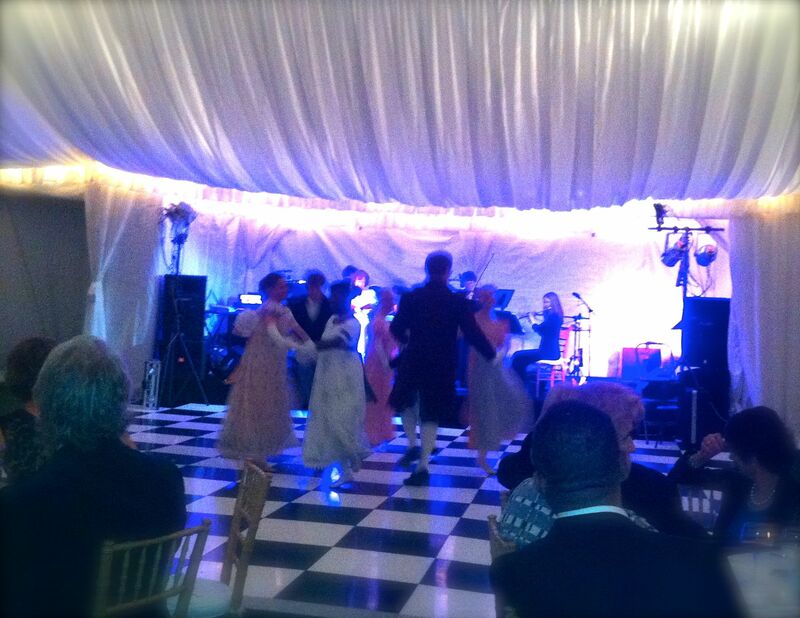 As the guest finished up their $250 a plate dinner (proceeds benefited the Museum) The Chorégraphie Antique ensemble performed period dances. Please note, I was going to authenticity, not glamor. Its PRIDE and PREJUDICE DAY!!! 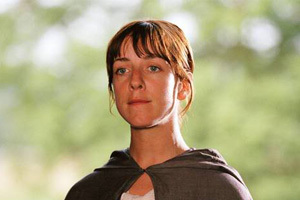 So, as you may have noticed, for the past week I’ve been giving you my take on the major players in Pride and Prejudice. Today I thought we’d take a look at the different adaptations over the years. First the source… the Austenian Holy Grail if you will, the first editions. I was lucky enough to attend a Jane Austen Society of North America meeting that started at the Goucher College Special Collection Library. 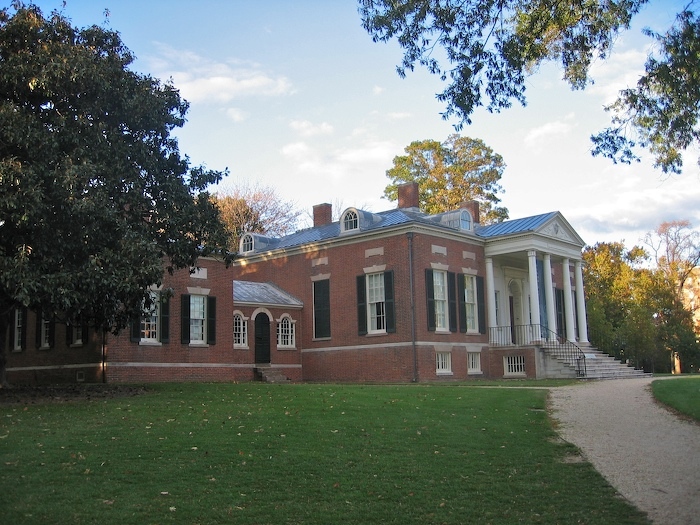 Their Jane Austen collection is the largest in North America and it houses several first editions and first illustrated editions. 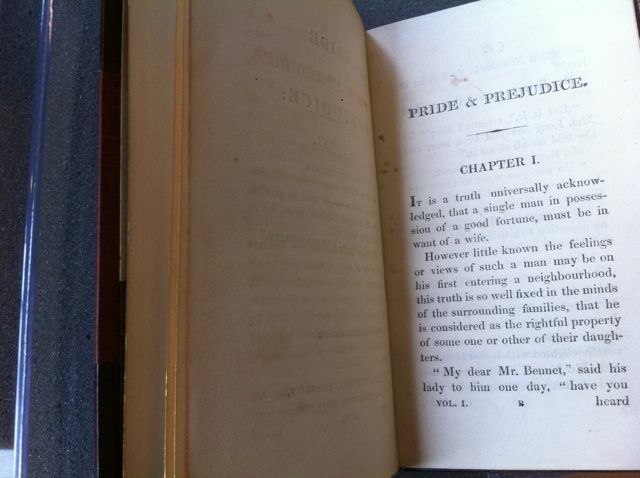 Opening page of a 200 year old first edition Pride and Prejudice. These beautifully letter pressed editions came in three volumes and are handsomely bound and typeset. The type size, letter and line spacing, weight and size of the books were perfectly designed for long afternoons when reading was a prime source of entertainment. One look at these beauties and you will never want to read another trade paper back again. Goucher also has first illustrated editions and the illustrated editions that followed. It is fascinating to see how the look of the characters changed through the times. 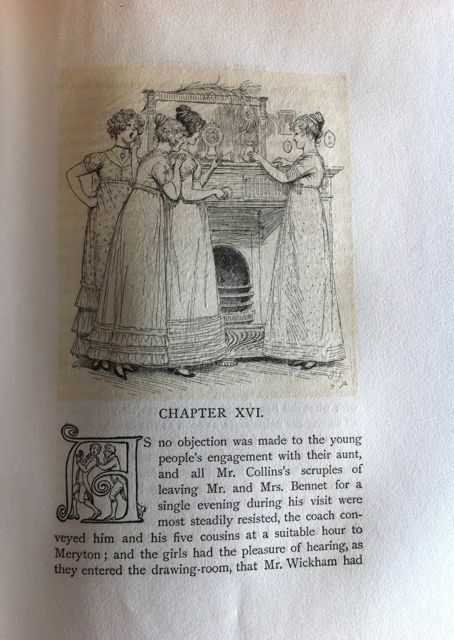 An early illustrated edition of Pride and Prejudice from the Goucher Library. The Goucher Library is hosting a special 200th Anniversary exhibit from January 28, 2013 through July 26, 2013 Click Here for more information on Exhibit. For more information of the Jane Austen Collection at Goucher you can Click Here. And if you are patient you can read all about the Goucher Austen Collection in an article I’ve written for ARRIVE magazine in the March edition! 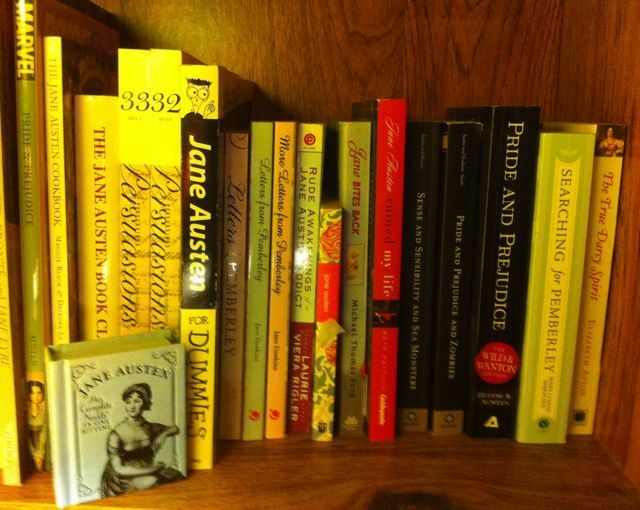 Here’s my first Austen bookshelf. From the original we move to adaptations. 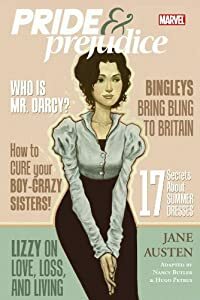 What happened BEFORE Mr. Bingley moved to Neitherfield? What happened AFTER Darcy and Lizzie got married? There are hundreds of these books out there and they vary in genre and quality. 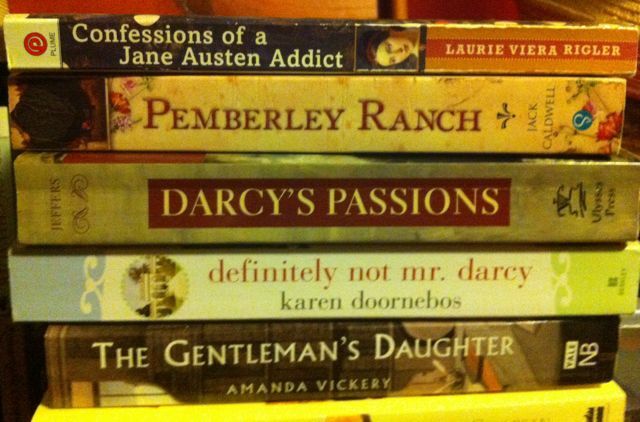 As an Austen fan I get one or two spin-off books every holiday and birthday. I recommend Mr. Darcy Takes a Wife and Darcy & Elizabeth and the trio of Fitzwilliam Darcy, Gentleman books for those of you yearning to know what MIGHT happen next. 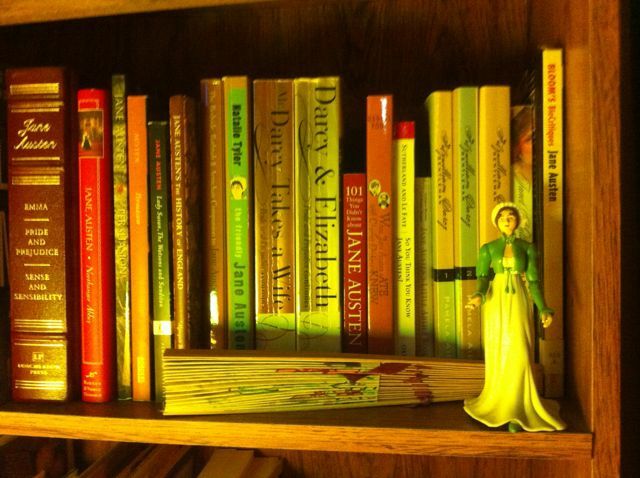 Here’s my second Austen bookshelf. I’m all for anything that brings new reader to Austen. So I enjoyed the Marvel Comics version of Pride and Prejudice. I like Pride and Prejudice and Zombies too — I found myself reading along, enjoying the original Austen prose and then BAM Zombies. It was fun. Oh, here are some more books that didn’t fit on those other shelves. 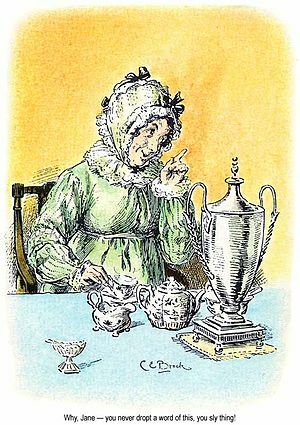 I liked Confessions of a Jane Austen Addict and its companion Rude Awakenings for their Alice through the looking glass approach to P&P. 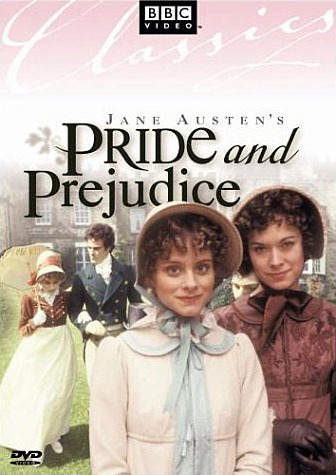 And I’ll give a thumbs up the more romance-y Definitely Not Mr. Darcy too. Others are either on the “To Read” pile or have been read so long ago that I don’t remember them well enough that I can’t give you n review. That’s the problem with a lot of these book adaptations… they don’t stick with you like the original. On to film. 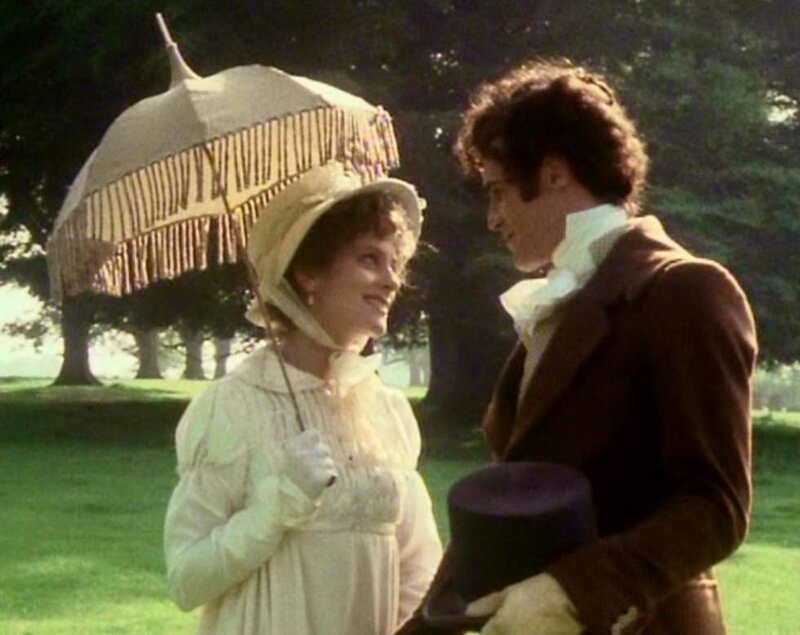 If you were to gather a table full of Jane Austen fans and ask them which is their favorite film version of Pride and Prejudice you’d probably get a half-dozen answers. 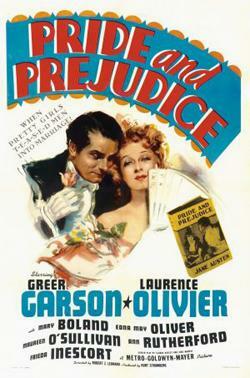 In 1940 Greer Garson and Laurence Olivier starred in a “Hollywoodized” version of the novel. 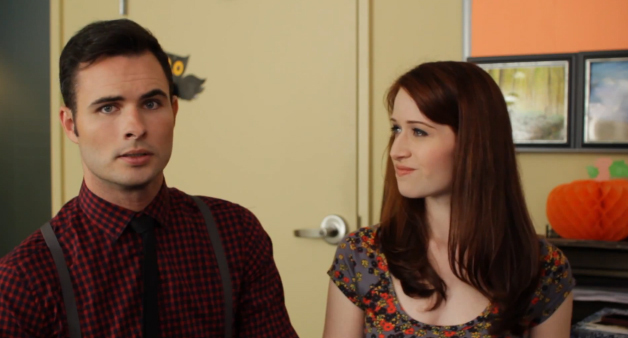 I liked the lead’s chemistry and think they did a good job portraying Elizabeth and Darcy. But the movie takes huge liberties with the novel — from the hoop skirts, to cutting out characters and scenes, to adding new scene (archery any one? 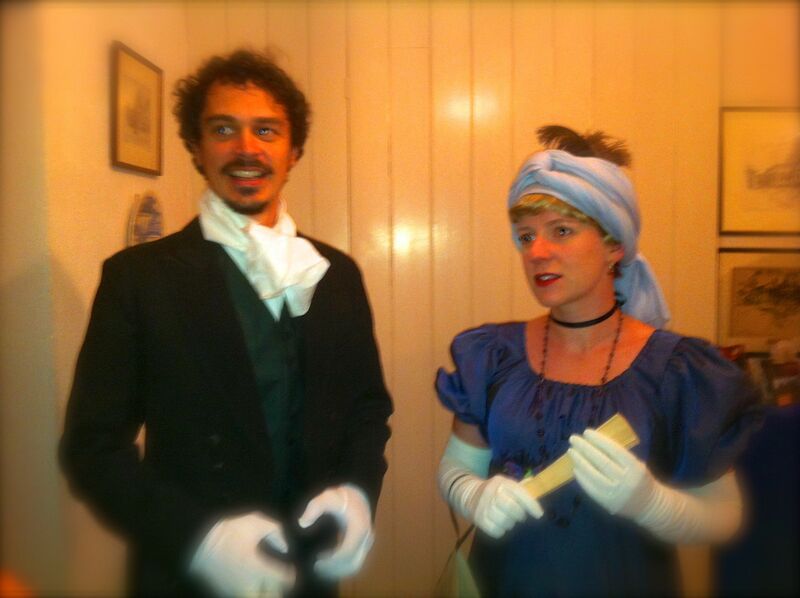 ), to rewriting the reason Lady Catherine’s visit to Longbourn. 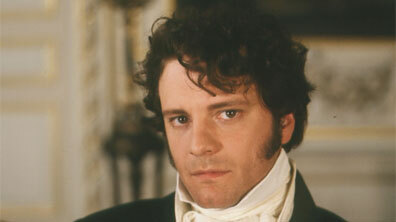 But Loney’s favorite Darcy, and mine, is Colin Firth. 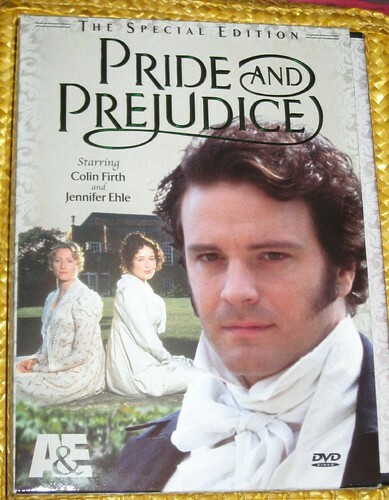 Firth played opposite the beautiful Jennifer Ehle in the A&E mini series in 1995. 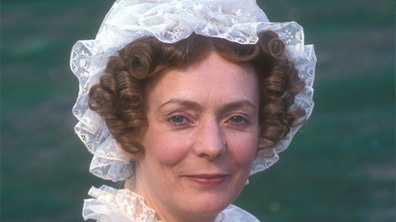 Ehle is my favorite Lizzie and Alison Steadman and Benjamin Whitrow are far and away my favorite Mr. and Mrs. Bennets. Gurinda Chadha brought a distinctly Bollywood approach to her Bride & Prejudice version in 2004. 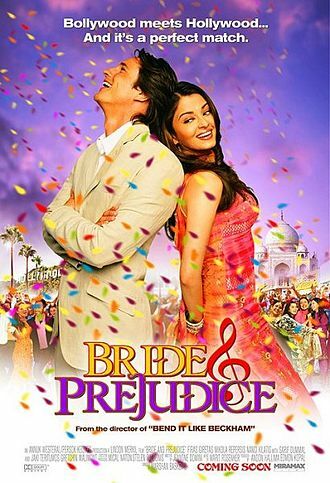 The movie, complete with colorful blockbuster musical numbers, spans three continents and stars Aishwarya Rai as Lalita (Lizzie), Martin Henderson as Darcy, Namrata Shirodkar as Jaya (Jane) and Naveen Andrews as Balraj (Bingley). Obviously there are a lot of changes from the original novel, but it is fun and bright and they did a great job conveying the heart of the story. 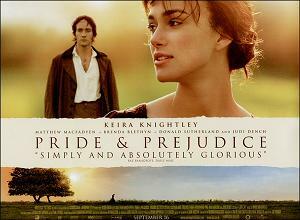 2005 brought us Kiera Knightly and Matthew Macfadyen in Joe Wright’s take on the Novel. Like the Greer Garson version this one leaves out characters and compresses the novel — I guess it has to in order to fit into the 129 minute running time. Personally I had a lot of hope for this version because I love a lot of the actors in it, but, sorry it just falls flat. 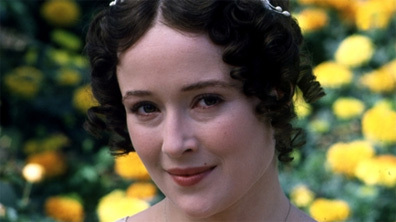 Tons of style but not so much substance… and when you start with Pride and Prejudice there’s just not excuse for that. There are moments in the movie that are terrific — I thought Macfayden and Knightly were wonderful in the “taciturn” dance and the proposal scene (though why it was in a down pour I don’t understand.) And I give this version the best sound track award. I loved the music. I also really liked Simon Woods as Bingley. I hope you’ve enjoyed my take on Pride and Prejudice. I thank those of you who played along and commented here and on Google and Facebook. As always, please drop me a line an let me know what you are thinking. 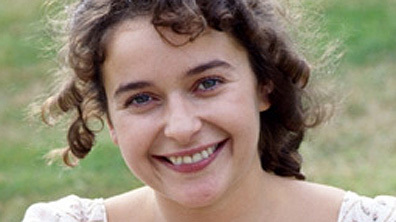 Suzannah Harker in the 1995 series. Bingley is a pretty wonderful guy too. Charming, handsome, rich — everything a gentleman ought to be. He shoots, he rides and I know not what. Sure, Bingley could be a tad more decisive, and have a bit more backbone. But to misquote Jessica Rabbit– he’s not wimpy, he’s just drawn that way. 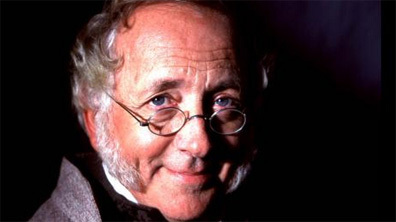 Simon Woods is funny and charming in the 2005 and in Cranford. If you want to see the other side of Simon check out his performance as Octavian Caesar in ROME. Blogger’s note: Hey how are your liking these P&P character studies? Drop me a line and let me know. Tomorrow is Darcy and Lizzie and Monday — on the big anniversary we’ll discuss various adaptions of the novel. So please weigh in! For a woman who came from a family of clergymen — her father, two brothers and four cousins wore a collar — Jane Austen certainly enjoys poking fun at them in her novels. 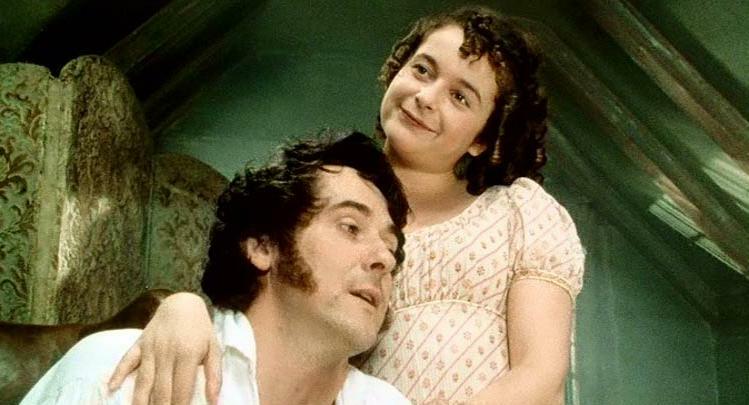 And Pride and Prejudice’s Mr. Collins is her most ridiculous clerical caricature. How on earth does sensible Charlotte wind up with such a buffoon? A clergyman was a professional, just like a lawyer or doctor. He made his living in the pulpit, not at the bar or in the examining room, but he still needed to be a well educated man. Add to that a vicar needed have a high moral standard, be a good speaker and have compassion for the poor and needy. Instead we get conceited, pompous, narrow-minded, silly, self important Mr. Collins. He is a mixture of pride and obsequiousness, a social climber with a very good opinion of himself and his patroness Lady Catherine de Bourgh. He comes to Meryton to visit the Bennets. As closest male relative he is set to inherit the Longbourn estate on Mr. Bennet’s death. That is something, to his credit, that he feels some guilt over. So he decides to marry one of the five Bennet sisters. 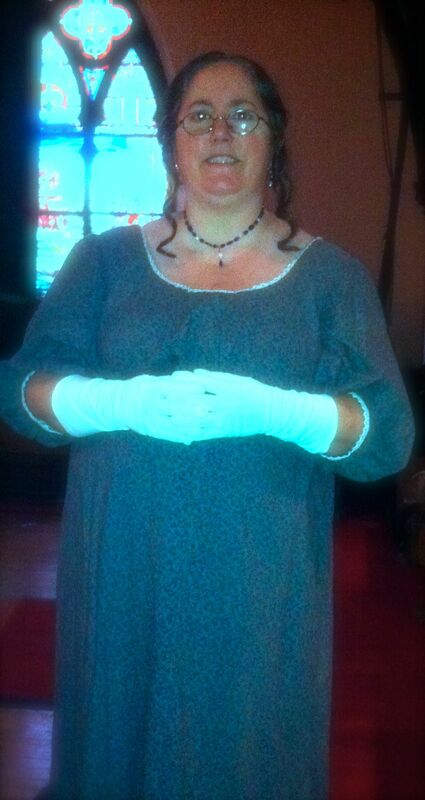 Jane is all but engaged to Mr. Bingley so he sets his sites on Lizzie. as a clergyman it would set a good example to the parish. it will add to his happiness. it is “the particular advice “ of Lady Catherine. Of course he doesn’t expect a rejected. For one thing he’s SUCH a catch, and for another he’s chosen well. The girls are desperate and he has them in a corner. He literally can not believe that she declines his offer. Neither can her mother. And for a while Longbourn is long born with strife. 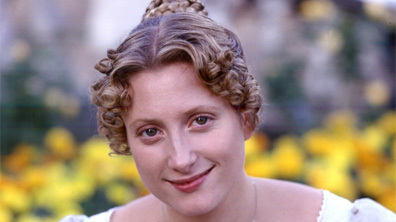 Charlotte Lucas is plain, pragmatic, good-tempered, funny, sensible, intelligent and unromantic. She is 27 years old and Lizzie’s intimate friend. 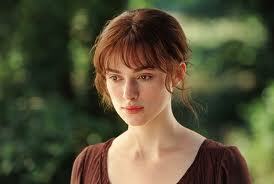 She’s such a good friend, in fact, that she comes to the rescue when Lizzie refuses Mr. Collins. She keeps him in good humor by listening to him and, one assumes, diverts him, making sure he’s out of ear shot of the shouting Mrs. Bennet and the giggling Lydia and Kitty. 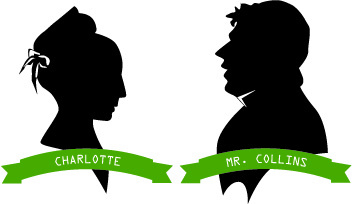 In some ways Charlotte winds up in same situation as Mr. Bennet in the marriage department. Neither of them respect or love their partners. And both do what they can in daily life to avoid interacting with their spouses Mr. Bennet shuts the door to his library, while Charlotte sits in her parlor and encourages Mr. Collins to work with his bees or visit Lady Catherine. 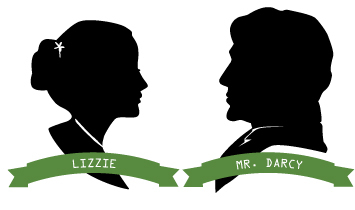 At the end of the novel Mr. Bennet writes to Mr. Collins informing him that — despite warning to the contrary by both Collins and Lady Catherine — Lizzie and Darcy are soon to marry. 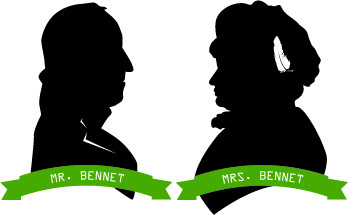 Mr. Bennet advises Mr. Collins to “Console Lady Catherine as well as you can. But, if I were you, I would stand by the nephew. 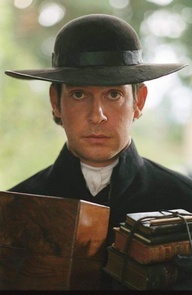 He has more to give.” If Mr. Collins heeds this wise advice he’d shift his alliance to Darcy who would never put up with the vicar’s toady behavior. That, combined with Charlotte’s even handed temper–which (hopefully) would rub off on Collins–MIGHT make him a more tolerable fool. 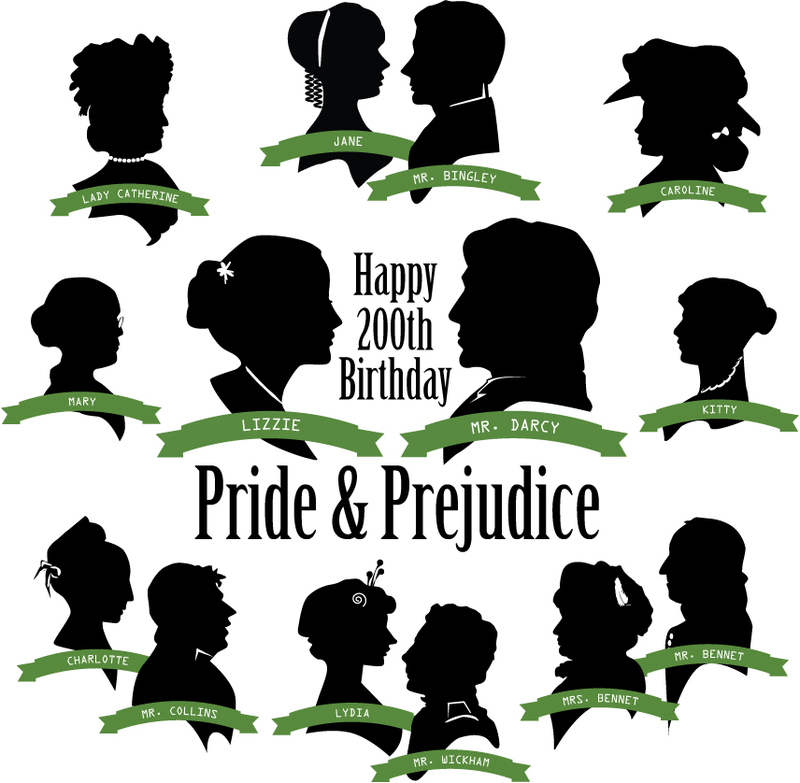 Today is the third installment in a week’s worth of Pride and Prejudice character studies leading up to next Monday’s 200th anniversary of the Austen novel. 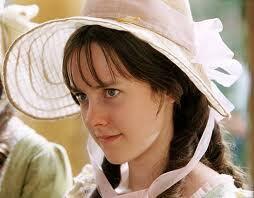 Was there ever a sillier, more insipid, selfish little sister than Lydia Bennet? One would need a thesaurus to accurately describe how crass she is… if Austen hadn’t painted such a wonderful picture for us. Lydia has no filter. 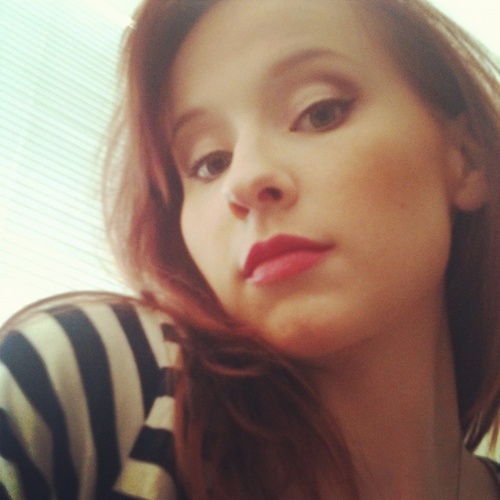 She says what ever thought floats across her vapid mind, no matter how rude or inappropriate it might be. “Lord” she tells Jane, “how ashamed I should be of not being married before three and twenty!” Likewise she does what ever she wants without regard for decorum or consequence. Lydia, of course, does not disappoint. She manages to do the least appropriate thing possible… she runs off, unmarried with a man. That man is George Wickham and it takes some doing to get the couple to the altar. A triumphant Lydia returns home with her husband in the 1940 movie. 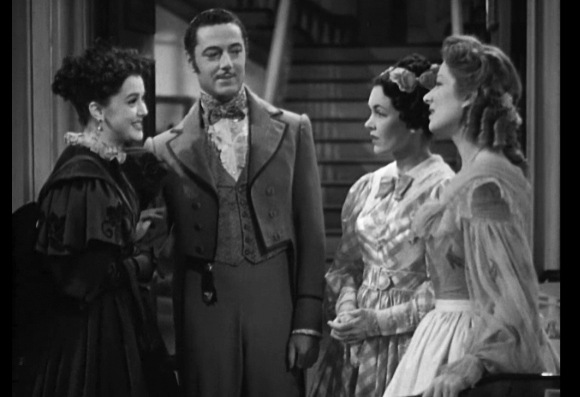 With Ann Rutherford (Lydia), Edward Ashley (Wickham), Maureen O’Sullivan (Jane), and Greer Garson (Lizzie). She even insists that Jane take walk behind her as she is a married woman now, and therefore holds a higher rank. 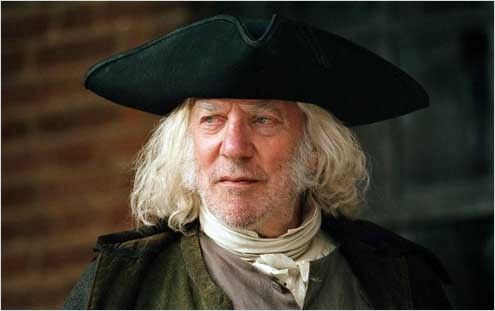 Sometimes when I’m rereading the novel* or am watching one of the adaptations I try to remember back to my original impressions of Wickham. Was I suspicious? Did I like his easy manner and winning smile as much as the ladies of Longbourn? Or did I know right away that he was trouble? 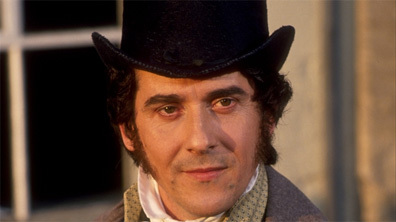 Adrian Lukis as Wickham in the 1995 series. 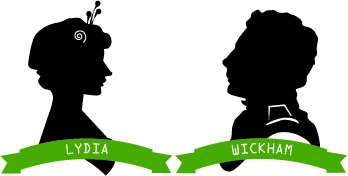 Not even Lizzie gets an accurate bead on Wickham’s character at first. She spends about a third of the book enjoying his company and listening to his poisonous tales about Darcy. 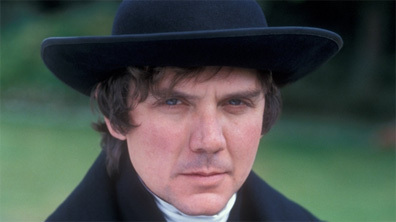 George Wickham is handsome. 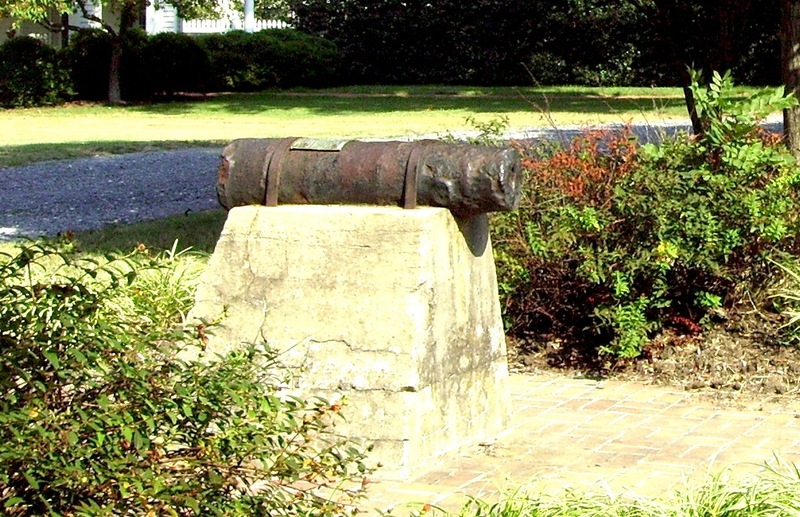 He has “a fine countenance, a good figure, and very pleasing address.” An officer in the militia, Wickham makes quite a dashing figure in his regimentals. 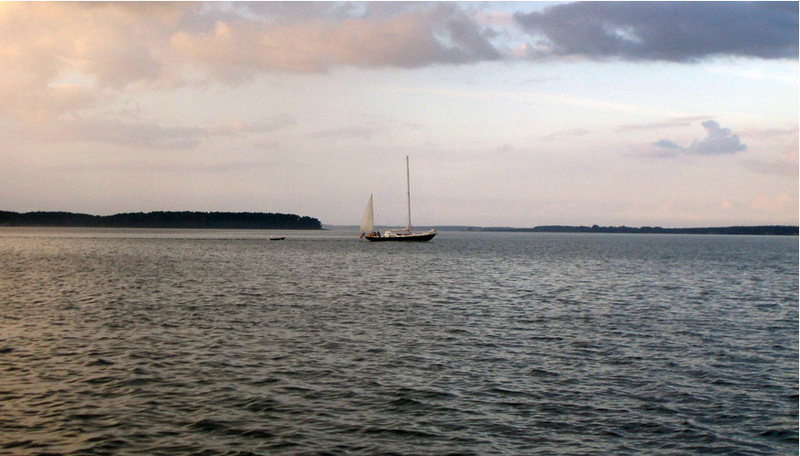 But Lizzie observes that he has something more in his “person, countenance, air, and walk” than this companions. And he could make the “commonest, dullest, most threadbare topic” interesting. He may not be rich, but, as he explains, that is not his fault. Its Darcy’s. 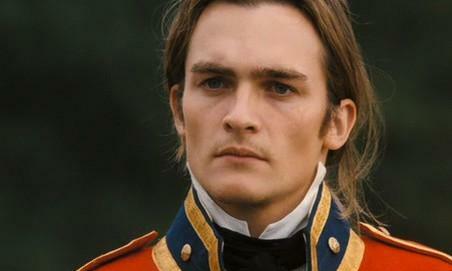 Darcy has cruelly denied Wickham the church living promised to him. So now he must make his way as an “honest” soldier. In reality he’s a gambler, a womanizer, a slacker and a liar. He uses his good looks and his social ease to manipulate people. 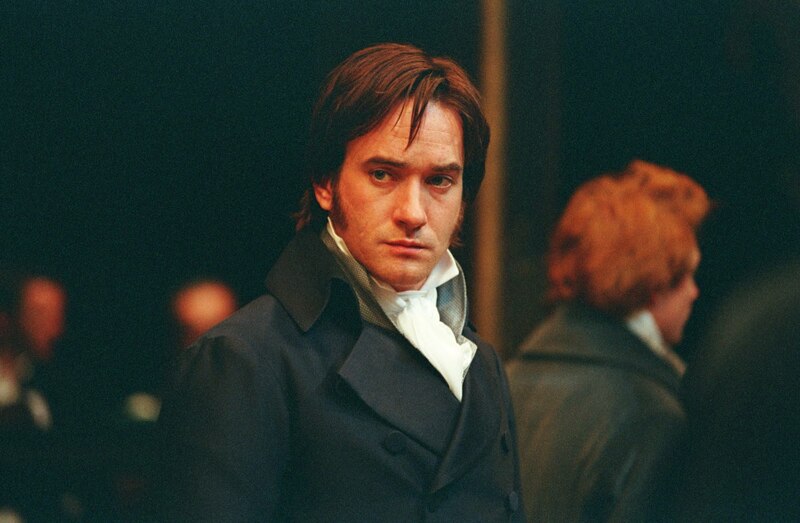 He even manipulates Lizzie, who is usually a keen judge of character, into taking his side against Darcy. He leaves a trail of debt and broken hearts where ever he goes. 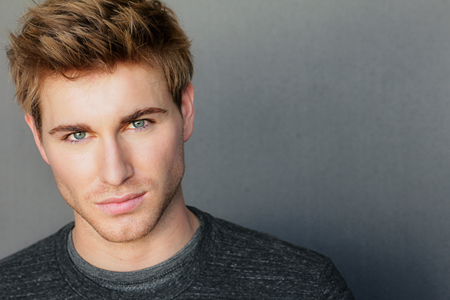 So why does Wickham elope with Lydia? 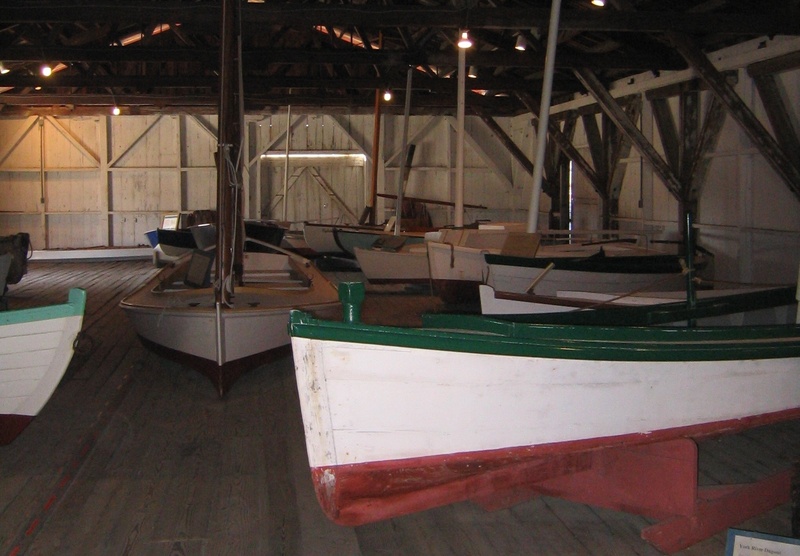 For her part it is probably a romantic lark, an adventure. She seldom looks past the moment and he is fulfilling her immediate needs. But what does she have to offer him? Not money. Not status. Not love. My guess is that he initially does it as a lark too. Lydia is pretty and is certainly willing to run away with him. He can always leave her when he gets tired of the situation and travel to another country to find a rich wife. But, then he realizes that he can make a little money off this deal. When Darcy finds them he realizes he’s hit pay dirt. If Darcy cares enough to come looking for Lydia he’ll care enough to pay Wickham’s gambling debts and pay his overdue tavern bills and more.. All he has to do is marry one of the silliest girls in the country. * for the record… I am not in a CONSTANT state of rereading one or the other of Ms. Austen’s novels. I just thought you should know.